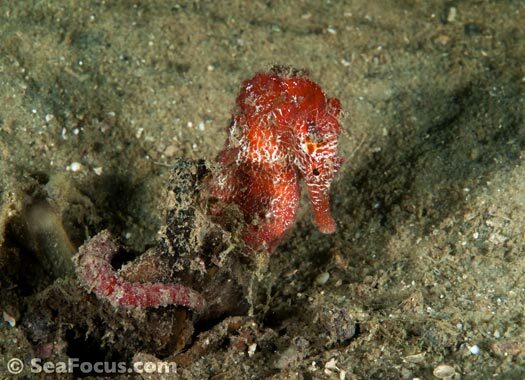 An underwater discovery that is a delight for all divers, seahorses are sadly one of the most highly threatened creatures in the marine world. 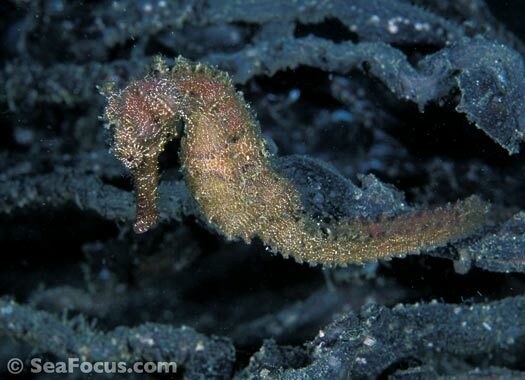 Seahorses are fascinating creatures that can almost always be found in the same place. 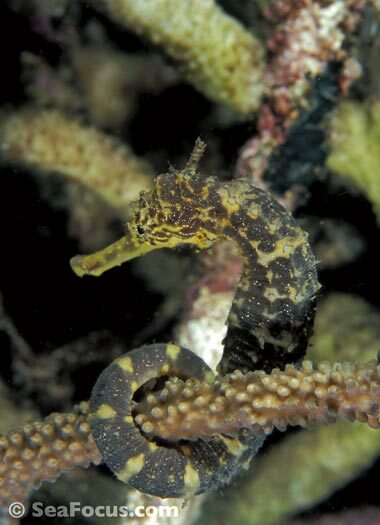 They establish a small home patch with a central hold fast – a stick or sponge around which the seahorse wraps its tail. Although they don’t seem to defend this patch, they are faithful to it and found on it or near by. 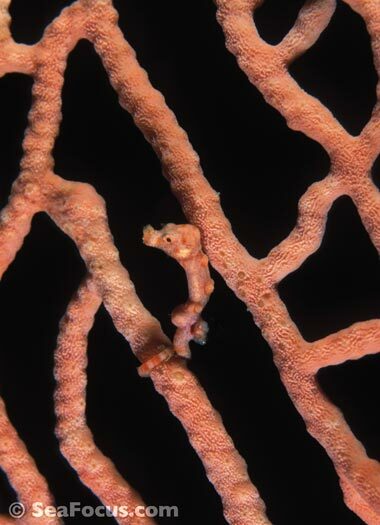 Generally seahorses appear to mate for life. If one half of a partnership disappears, the remaining partner is slow to seek out a new buddy. Plus their most fascinating feature is that the males get pregnant! Females insert ripe eggs into the male's brood pouch and he produces sperm to fertilize them. The pouch seals shut until the male goes into labour, pumping and jack-knifing to expel the youngsters. 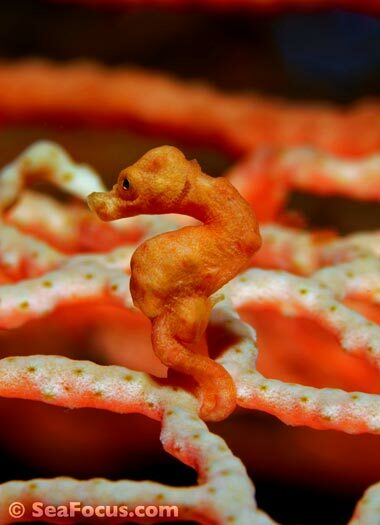 Adult seahorses range from minuscule pygmy seahorses to the one foot long Pacific Seahorse. 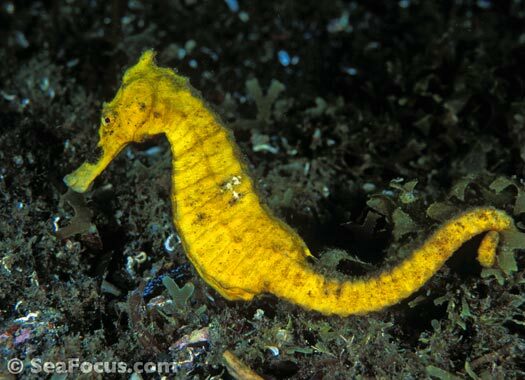 They live in tropical and temperate waters amongst seagrasses, mangroves, corals and estuaries. 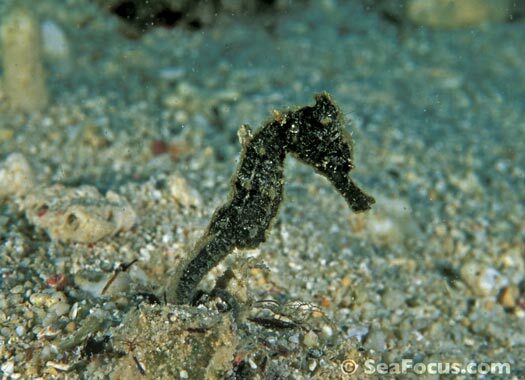 Sadly, these environments are continually under threat by man-made activities so seahorse populations are in decline. 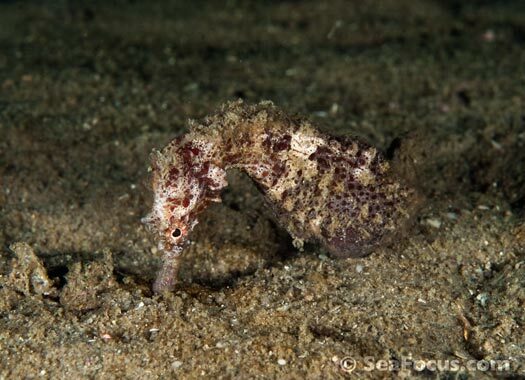 Apart from the destruction to their habitats, thousands of live seahorses are collected for the aquarium trade and many more go to traditional Chinese medicines, some 200 million per year it is said. 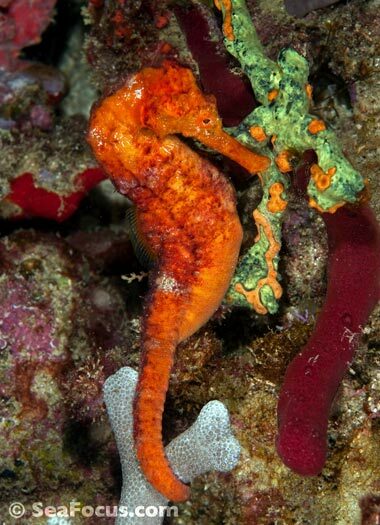 Unfortunately, seahorses are actually recognised by the World Health Organisation as providing a viable healthcare option. 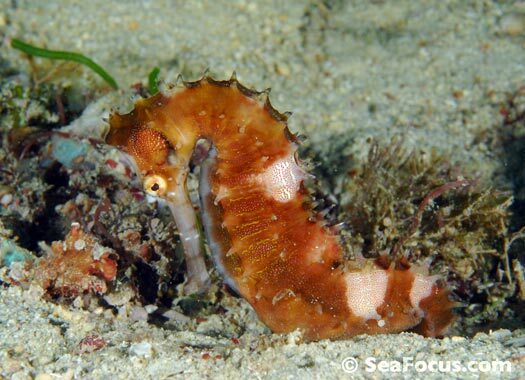 The good news is that many small-scale seahorse conservation initiatives have been established that recognise the needs of communities that depend on seahorses for income and medicines. Projects in the Philippines and Vietnam have been experiencing initial success. 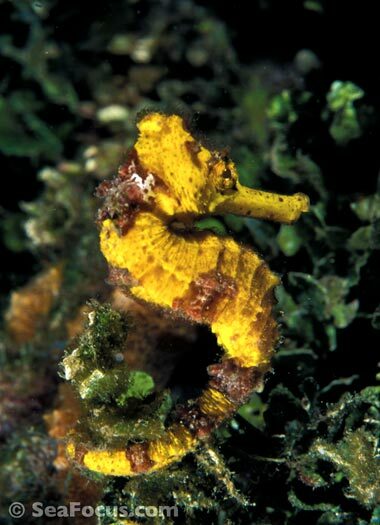 Seahorses are on the IUCN Red List of threatened species. 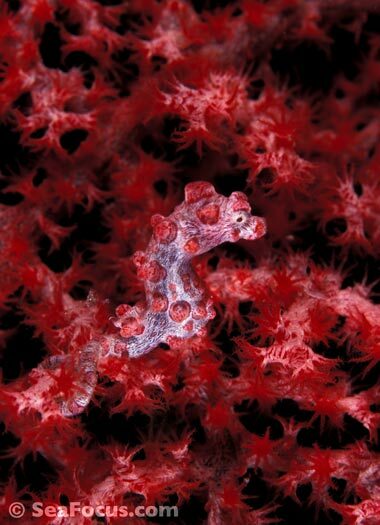 This small chap was first seen in Bunaken waters and as is the way, once noted, the new species strated to crop up everywhere. 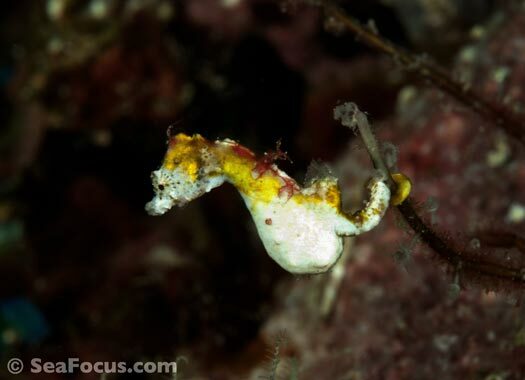 H. Pontohi was named for Indonesian dive guide, Hence Pontoh who discovered them. 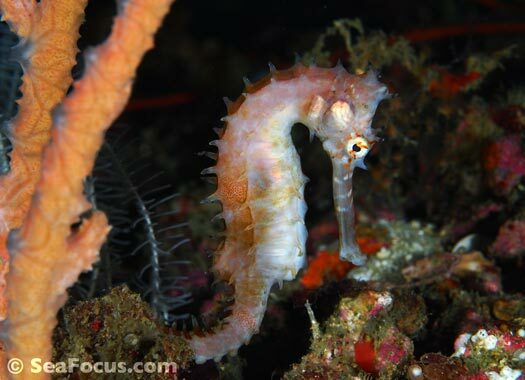 We saw this one in West Papua on a late afternoon dive. He was one of a gang of 8 or 10. 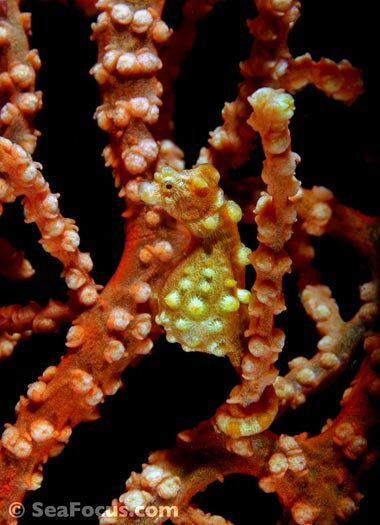 Unlike many pygmy seahorses, this type prefers to hang out on algae fronds. The group was active, leaping into the water and across the bommie to another frond, wait a few moments then dance around some more. At just 10 or 12 mm long, they were a complete nightmare to photograph.